You will need Acrobat Adobe PDF reader installed to view these images. New Service We are proud to announce our new unique Telephony Access service which allows Clients, Charities and Money Changers to interrogate the status of their relevant sectors. 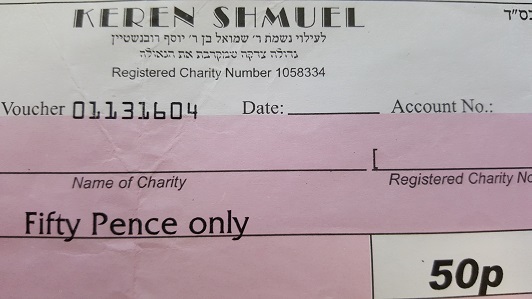 Keren Shmuel is a UK registered charity (1058334) established some 20 years ago with an annual turnover of £650,000. Our Trust Deed explains our objectives. The charity functions exactly like a bank (no interest charged) where clients deposit donations which they can subsequently distribute to registered charities of their choice (in the UK or abroad) using cheques, standing orders via e-mail instructions or by using this website. Account Statements are provided monthly. UK Tax Payers can have their tax reclaimed against these donations thus allowing them to donate even more (see the Gift-Aid Scheme currently £25 on every £100). We are proud to announce our unique telephony service which allows Clients and Charities to interrogate their accounts at any time 365/24/7 via a telephone or mobile. Clients can check their balances, hear a mini statement, order voucher books and check the status of a voucher. 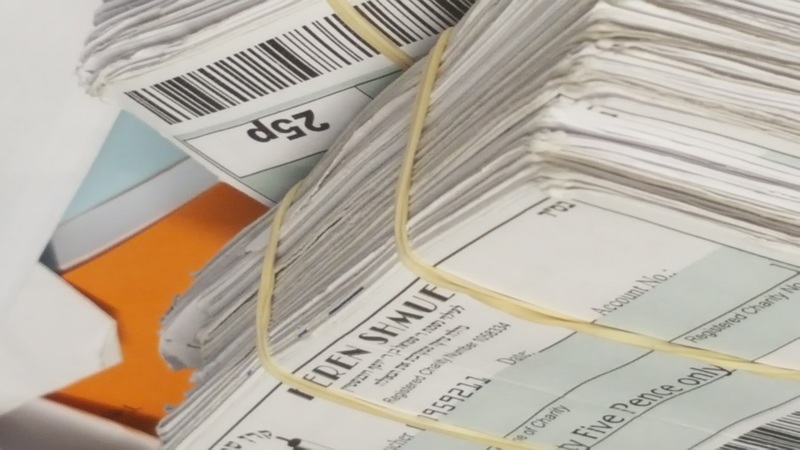 Charities can track multiple vouchers. A new client dashboard has been added to make access to key account information even easier. You can also view/print filtered lists of Gift-Aid or Company donations in the last financial year for Self Assessment or Company Accounts submissions. The connection from your browser to ks377.org is now protected by an SSL certificate. This means all data between your browser and the ks377.org website is encrypted. Our VPS hosting service was inadvertently removed by 123-Reg (the VPS provider) - which has caused a 10-day outage. As 123-Reg have not been able to restore our site (and thousands of other sites) we have migrated our internet services to a new provider and at the same time upgraded and invested in a dedicated server. 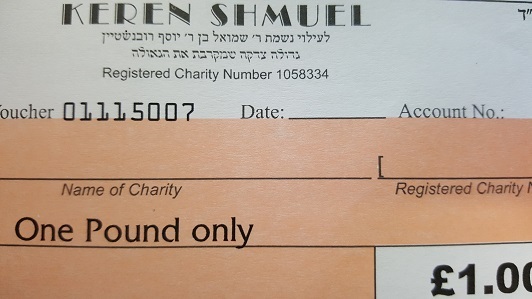 Those clients using Keren Shmuel solely for the purchase of 25p voucher books will now have to pay a higher premium. As of the 1st January 2016 these accounts will be charged at 15.00%. Therefore, a client purchasing 10 voucher books of 25p vouchers will pay £294.12 for Company, Charity or Non Gift-Aid donations. A client making a Gift-Aid donation will pay £235.29. Last year (which has just ended) has been Keren Shmuel's busiest year with a total turnover in excess of £740,000. There is currently a limit in force on ordering 25p voucher books. This means no-one can order more than 5 25p books until a month before Purim. Bais Chana needs 6000.00 GBP to cover a short-term deficit to Hackney Council by the year's end.